The project is targeted at creating instruments to enable orientation in the wide variety of educational and training courses in non-formal curricula, taking into account intercultural conditions of the partner countries, and finding out what barriers exist between the range of educational courses and the target groups. We want to assist people from vulnerable social groups (women, migrants...) in order to give them alternative opportunities to access adult education and a job. We want to acquaint all partner subjects with the entire range of lifelong education in each partner country. We take into account that this education is provided by almost all kinds of educational institutions, from universities to individual private providers of education. To help learners and teachers to acquire and improve skills not only in the topic or subject area on which the project is focussed, but also in terms of teamwork, social relations, planning and undertaking project activities and using information and participating in a partnership with partners from communication technologies. To gives learners and teachers the opportunity to practice foreign languages and increase their motivation towards language learning. To exchange experiences and good practices with partner organisations in Europe. To motivate our learners, teachers, parents and community to use as learning and teaching methods and means of education the new informational technologies. To improve the quality awareness of education, searches innovations related to education and teaching at every level, conducts every activity to train new educators and that contacts experts and other related institutions to increase the contributions occupational formations to the society. We want to make a careful study of the situation to find out the way to give people in need (foreign or adults or drop out young people) the possibility to attend adult learning courses. According to our searches and international contacts we are getting aware that the problem of L.L.L. is common need and all European Countries have to find suitable strategies to solve it. 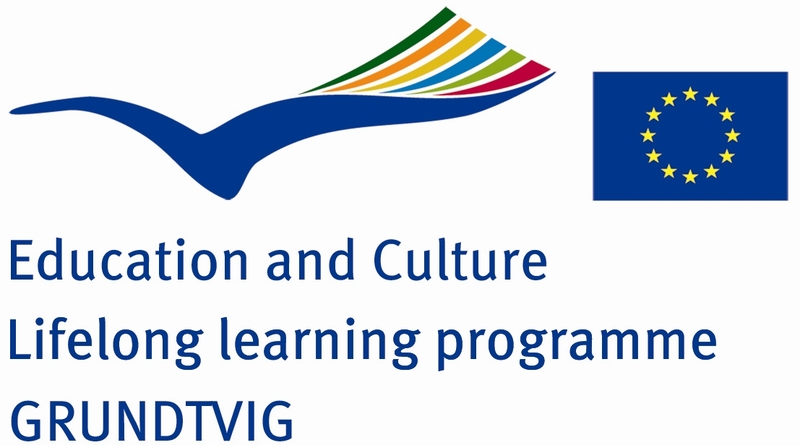 This project has been funded with support from the European Commission: Lifelong Learning Programme Grundtvig Partnership (2010-1-TR1-GRU06-16450).